So my wife and I moved into a new-to-us house with almond switches/outlets and we wanted to change them to white. Everything has been going swimmingly until my wife decided to do a 3-gang light switch box and now it doesn't work. I can't really say how it was when we started because she removed all wire nuts 'to clean it up', removed some pigtails, etc. So now we're starting from scratch. So, there's 3 switches (numbered left-right in the box): SW1 is a 3 way switch that controls a set of 6 overhead lights. SW2 is a single pole switch that controls a single table chandelier. SW3 is a single pole for an outside light. Coming in to the box, there are 5 cables, a 3 wire (cable1) and (4) 2 wires. Cable3 appears to be the source from the panel as when I separated all wires and turned on the power, only the black of cable3 had power. I know that the last two cables connect to the chandelier and outside light. There were two pigtails removed from the box, and when I pigtailed the black cable3 wire to the SW2 and SW3, and then ran the black cable4 to SW2 and black cable5 to SW3, the chandelier light and outside light both work. But now I'm stuck figuring out how to wire the cable1/2/3 for the 3way switch. I checked the 3way switch on the other side of the room, and it has a black going to the common terminal, a white to one of the travelers, and a red to the other traveler. Tough to see directly, but it looks like all 3 come from the same cable. I've tried connecting the black of cable1 to the common, and the white/red of cable1 to the travelers, while wire nutting the black/whites from cable2/3 together. When I do this, the lights stay on but you can't turn them off (with either 3way switch). Any ideas on the next steps? Colors in cables are to distinguish the wires onside the cable. They are not there to color-code by function. That situation is sufferable in simple switch circuits, but it quickly becomes intolerable in a 3-way. 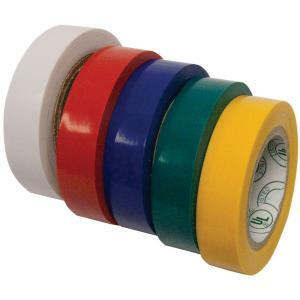 I strongly recommend always color-coding by function, and you do that by marking wires with colored tape, a 5-pack is $4 at the big-box. Aim to mark both ends of the wire, and mark them the same of course. Now here is what a 3-way switch circuit looks like. That's simpler than you expected, isn't it? Notice there is no need to distinguish the two yellow travelers from each other; exchange them and it still works. So I would start by tagging both ends of the travelers (white/red as you surmised) with yellow tape, just to get it out of your hair. Now you see where the common wires on the two switches actually go to different things. One gets supply hot from source, and the other gets switched hot to the lamp. Cable 3 is source, so cable 2 goes to the lamp. I would mark its "hot" with red tape, since it is switched-hot. Now, that can either go to the local switch's common, or the remote switch's common. I don't care which, but for symmetry I might make switched-hot the one that comes down from the remote switch. * So tag that black wire in the /3 with red tape. ** Then, always-hot goes to the common of the local 3-way, so it becomes a third pigtail off the supply. Now you've tagged two wires red, join them. Join the whites also. See how this corresponds to the above diagram. *Another advantage: it eliminates always-hot in the remote 3-way, which removes temptation to try to use it for something, and then bootlegging neutral from ground or another circuit's neutral. ** instead of marking the black "red", you can just rearrange the wires so the black/white are travelers, and red is the common. So I figured it out. I ended up wiring up cable3/4/5 to eliminate those wires and have SW2/3 work perfectly; then I just had 5 wires to work with (the 1 Red from Cable1 I assumed would be a traveler, so didn't have to test that). I just plugged the black/whites, one at a time, from cable1/2 to the wire nutted cable3/4/5, matching colors, and starting checking voltages. Turns out when I wire nutted black from cable1, turned the power on, and switched the other 3way switch, voltage would switch between Red and White from cable1. Put those 2 on the travelers, put Black from cable2 to Common terminal, then wire nutted white from cable2 to cable3/4/5 and voila, all lights work as before! I know people asked for a diagram, any easy way (program/site etc) to create one for posting in this space? Not the answer you're looking for? Browse other questions tagged electrical multiway-switch or ask your own question.